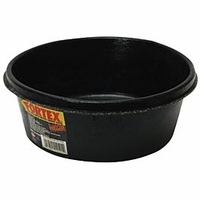 Fortex flexible rubber bowls. Great water or feed bowl for tie corded or penned birds, or dog food bowl. Long lasting, won't break, lasts for many years under normal use conditions.